After a week off, we’re back with another installment of this year’s Voqal Fellowship poem, Cooperative and Collaborative Politics of Change. As we’ve mentioned in past blog posts this poem was created by Adrian H. Molina through a process called Live Scribe Poetics that took place during the Fellowship convening back in January. We come from struggle and hustle. notorious gang leaders turned civil rights organizers. We are the sons and daughters of history. in the reality of diversity. We are open and proud of our sexuality. We learned to claim ourselves. We are survivors and self healers. speakers of two and three tongues. across the rivers of inhumanity. We are the formerly incarcerated. blowing stereotypes out of the water. Don’t judge us. Don’t patronize us, either. We will make top of the class on our own. We rehabilitate self to rehabilitate community. in our own names, without apology. Make no mistake, there are no mistakes. We are tragedy, so we are comedy. We will make you fall in love with our laughter. until we land on something Real. We quit jobs. We build apps. We make games. We curse freely in professional development seminars. Cool huh? We meet the world where it’s at. Cuz none of us came back around to be fake. within the nightmare of injustice. and become exactly who we need to be. Then we will change the world. with deep knowledge of self, self-designed cool. we blaze trails. We dig within. We battle isms. We ask questions. We unearth truths. We throw parties. We learn lessons. We read patterns. We re-pattern. We are designers and masters of patterns. We will blow your earthbound minds. We are grounded. We Wash and Learn. We are here to Game the System, Bloc by Block. We are Issue Voters. We are visionaries. We are the Notes from the Cleffs and the cliffs. where spirits grow, where destiny merges. that everyone eats through equity and transformation. We are GenQ. We are the Media. who direct and shift the cultures of the masses. You can learn more about Adrian and his work at molinaspeaks.com. 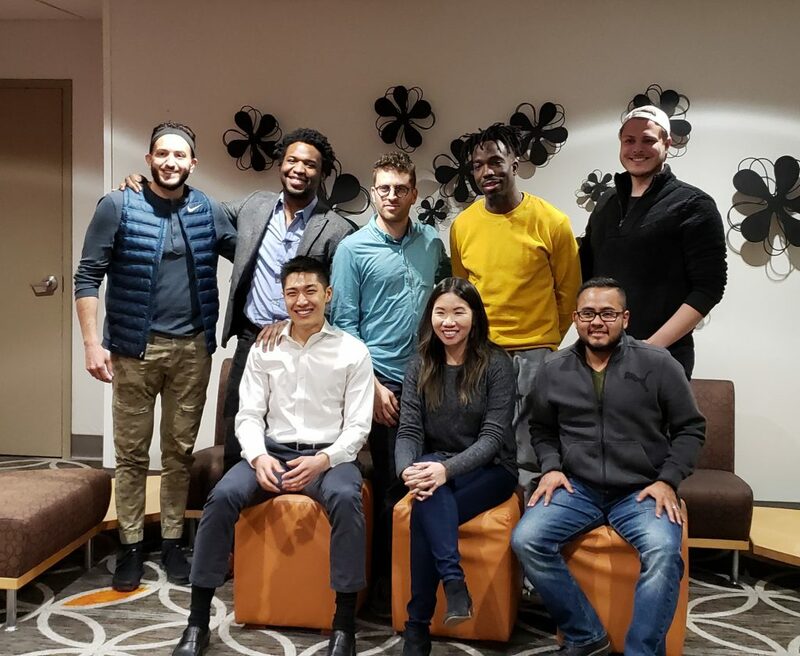 Learn more about the Voqal Fellowship and the 2019 Voqal Fellows here.